Suzanne Desan (Co-editor), Jeffrey Merrick (Co-editor). 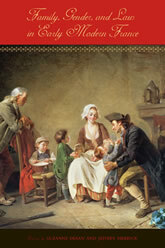 Family, Gender, and Law in Early Modern France. Penn State University Press, 2009.